Many people find that their hands and wrists hurt after extensive typing, as typical keyboards force users to pull in and straighten their arm positions, bend their wrists, and hold that position for hours on end. The resulting soreness can spread like wildfire, moving to your fingers, elbows, and shoulders. Thankfully, ergonomic keyboards are here to save the day. 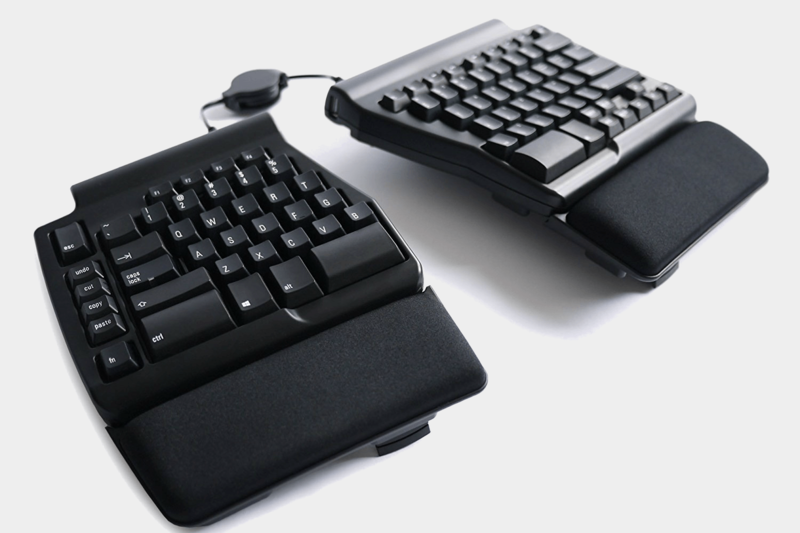 These keyboards are designed so that your arms and hands can rest on the desktop naturally. They take the stress off your wrists, and push keys into positions that keep your hands in one place. The jury is still out on whether they do or do not actually preserve users’ wrists, but many people find them more comfortable nonetheless. Here’s our list of the best ergonomic keyboards you can buy right now. 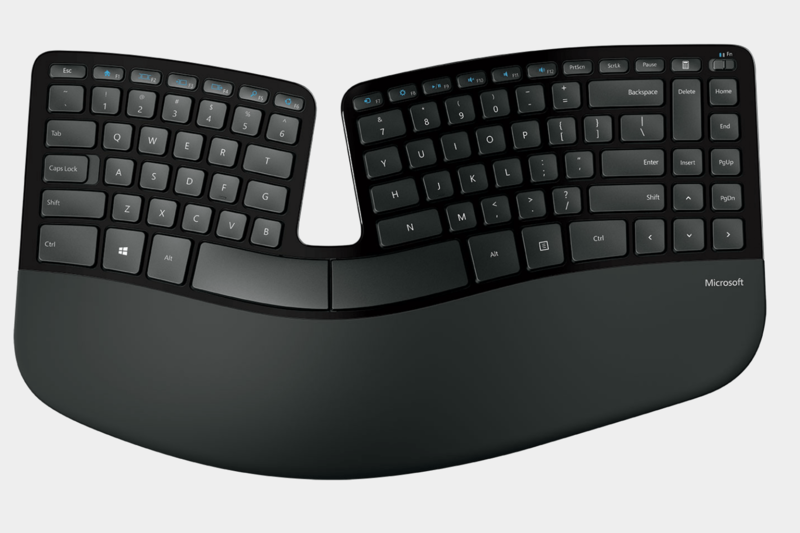 While the Microsoft Sculpt Ergonomic keyboard may not be the fanciest keyboard around, it is easy on the arms, sporting a curved, cushioned palm rest to support the user’s wrists as they type. The keyboard is angled to keep wrists in a neutral position, and the keys are arranged in curves, emulating the curvature of human fingers. Microsoft’s keyboard lacks customization options, but it’s a straightforward, reliable option — that’s rather inexpensive to boot. It’s currently as low as $66 over on Amazon, which makes it even better. If you want a keyboard with a few more bells and whistles, the Logitech K350 may be the right choice. This keyboard is wireless, eliminating at least one of the annoying wires that drapes across your desktop’s surface. The cushioned palm rest and wavy keys gently cradle your hands, and are complemented by a solid construction ensuring the keyboard will survive frequent travel. The K350 relies on a mere two AA batteries, but promises an “extended” battery life span of up to three years. The F-keys are fully programmable too using Logitech’s free software. For those who desire even more comfort mixed with an extremely unique design, the Kinesis Freestyle2 is your ticket to ergonomic goodness. Available for both Mac and Windows, it offers a fully split design, allowing users to position their hands as they see fit. The Freestyle2 wirelessly connects to your PC via Bluetooth, and will even pair with Android or iOS devices. Although it doesn’t have the nicest keys, the freedom to adjust the two halves is a nice (and unique) feature. These two halves are connected by a single cable measuring nine inches by default, but too. Backlit keyboards are definitely great for dimly-lit conditions, eliminating the painful key-hunting process for photo/video editors, gamers, and general cave dwellers. Some people find colorful keys a bit gaudy, but there’s a big market for customers who find white illumination even more boring than their boss’ assignment. If that’s you, the Adesso Tru-Form 150 will make you feel right at home with a choice of green, red, or blue backlighting, and an adjustable brightness. The keyboard lacks a cushioned palm rest, but at least it’s curved, keeping wrists in a neutral position. The Tru-Form also possesses special function keys for adjusting volume and such. It’s not the most comfortable keyboard, but for those who must have lights, it should suffice. While some people despise the loud clicking of mechanical keyboards, those who love it — and the thrilling ping of a key cap pressing against the switch beneath — may be unable to go back to standard keyboards. 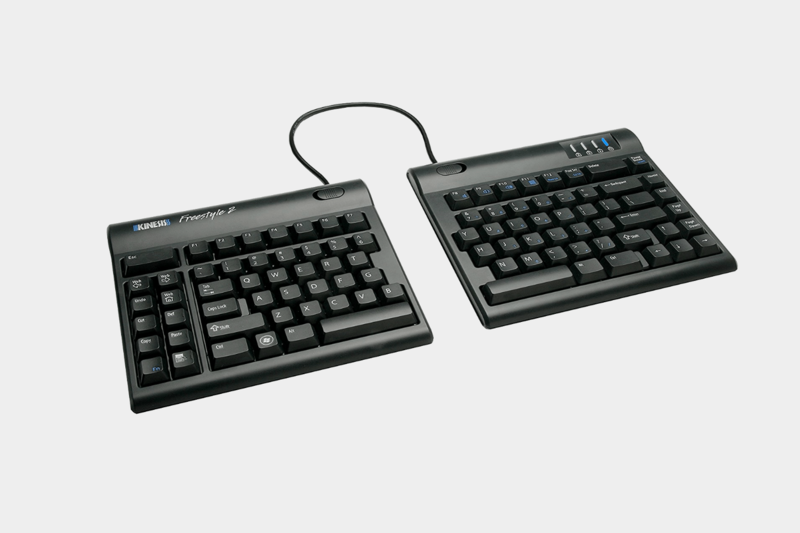 If you need a keyboard that is both mechanical and ergonomic, the Matias Ergo Pro offers everything you desire. Like the Freestyle2, the Matias is a fully split keyboard, so you can maneuver the two halves into whatever positions you feel is most comfortable. This keyboard also sports a cushioned palm rest for maximum comfort, and an uncomfortable price tag at nearly $200. But hey, the Ergo Pro definitely has many virtues for the price. 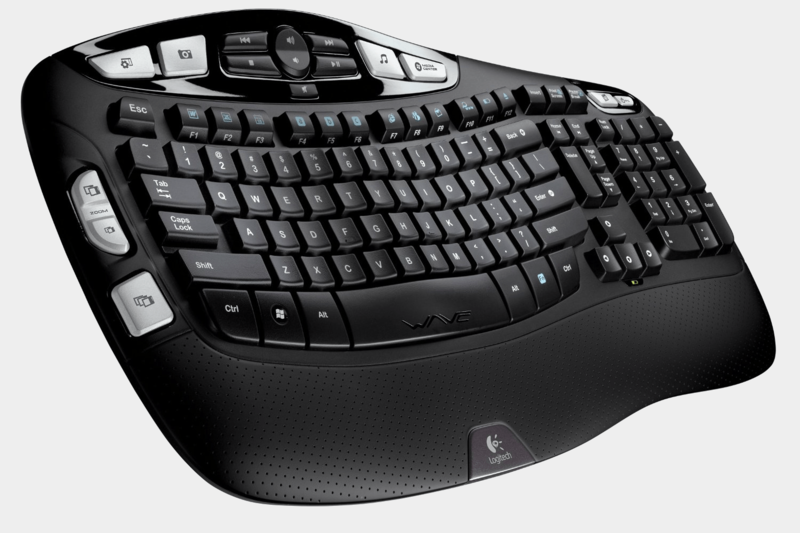 Finally, we round out this batch with another Microsoft ergonomic keyboard. It’s wireless, it’s pretty, and it’s pretty inexpensive compared to the Matias Ergo Pro. It works with any Windows 10 device that supports keyboard-based input via a wireless USB dongle, or Bluetooth Low Energy (4.0/4.1). It sports a natural arc and slope that’s complemented by a two-tone grey palm rest to relieve the pressure off your wrists and elbows. It’s extremely thin too, measuring up to 1.36 inches at the height of its arc. Other notable features include a key switch life of 500,000 to 10 million presses, battery life promising up to 12 months, multimedia keys, 128-bit AES encryption, and more. It should be noted that the Surface Ergonomic Keyboard is purely wireless and must be charged via AAA batteries.